Hielscher ultrasonic devices are used for lab samples, pilot scale processing or full scale production. 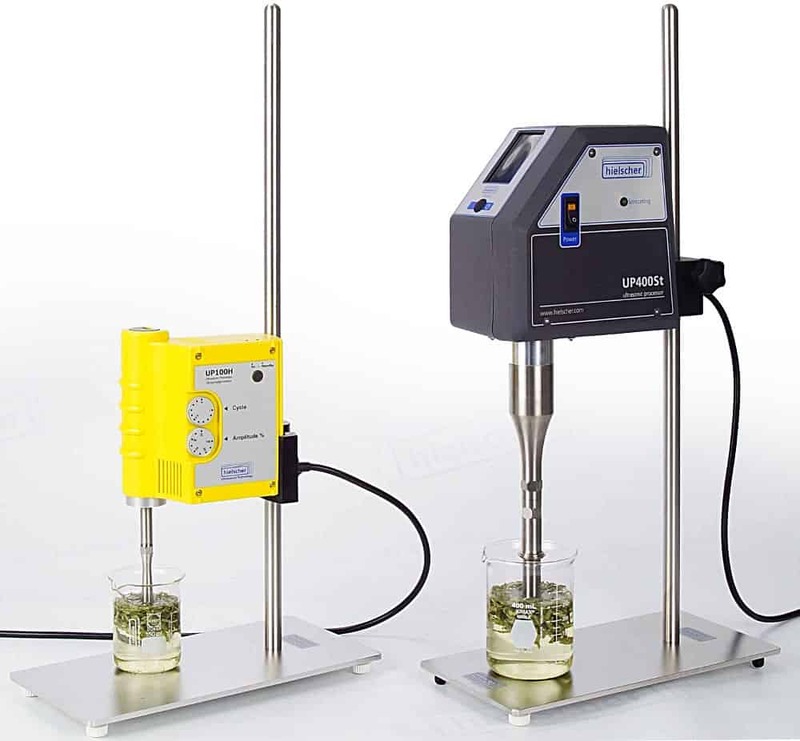 This includes ultrasonic devices for the ultrasonication of any liquid volume, from several microliters through hundreds of cubicmeters per hour. 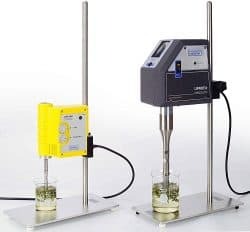 The requirement to treat liquids with ultrasonic cavitation comes in many sizes: Tissue samples in small vials, canned paint samples, reactor batches or continuous material flow. Hielscher offers ultrasonic devices for any liquid volume. For example, the UP100H is a compact handheld ultrasonic device for up to 500mL. The UP400St is a strong laboratory homogenizer for up to 2000mL. The UIP1000hdT is a powerful ultrasonic unit for application development and small scale production. For larger systems, Hielscher offers 4kW, 10kW, and 16kW devices. The table below lists all standard laboratory and industrial ultrasonic devices. Ask for more information about ultra-sonic devices! If you have trouble finding the best device for your requirements or if you would like to receive more information, please use this form. We will be glad to assist you.